Newsletters sent via Newsletter2Go are fully white-labeled. This means that you are in full control as to what information you want to include (for example reply and sender email). You are free to create a custom sender email address and use your own domain. This inspires confidence in your email list. Once you’ve personalized the newsletter sender and unified it with your other marketing activities, it will result in higher brand recognition. 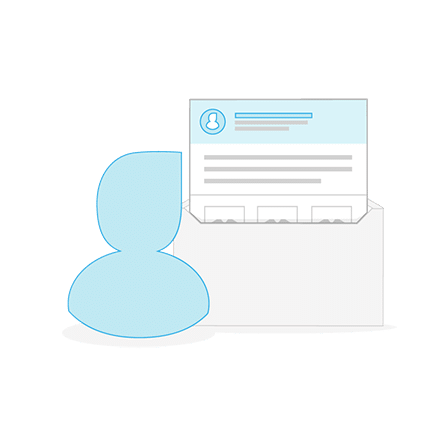 Kill two birds with one stone: thanks to a custom sender email address, not only will you create build stronger customer relationships, but you will also improve your delivery rates.